How do we define the ongoing relationship between contemporary art and the archive? Considering the unprecedented levels of present-day information storage and forms of data circulation, alongside the diversity of contemporary art practices, this question may seem hopelessly open-ended. In an age defined by the application of archival knowledge as an apparatus of social, political, cultural, historical, state and sovereign power, it nevertheless needs to be posed. In what follows, I will suggest that we can more fully refine the question and offer a series of conditional answers if we consider, in the first instance, the extent to which contemporary artists retrieve, explore and critique orders of archival knowledge. , Alessandro Balteo Yazbeck, Timothy P.A Cooper, Joshua Craze, Laura Cugusi, Ania Dabrowska, Nick Denes, Chad Elias, Media Farzin, Mariam Ghani, Gulf Labor, Tom Holert, Adelita Husni-Bey, Maryam Jafri, Guy Mannes-Abbott, Amina Menia, Shaheen Merali, Naeem Mohaiemen, Mariam Motamedi Fraser, Pad.ma, Lucie Ryzova, Lucien Samaha, Rona Sela and Laila Shereen Sakr (VJ Um Amel). 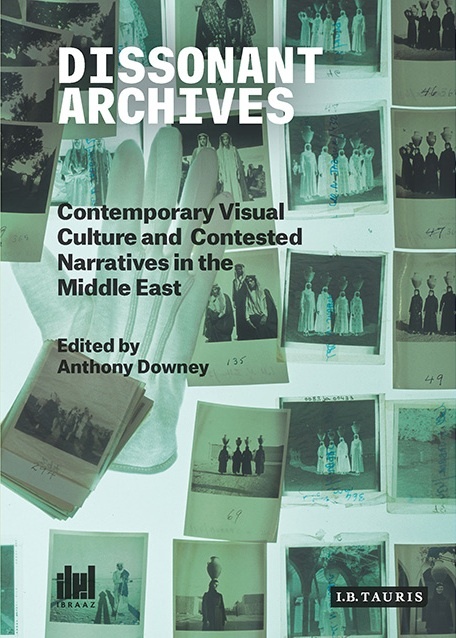 Dissonant Archives: Contemporary Visual Culture and Contested Narratives in the Middle East launched on 30 May 2015 at JAOU Tunis 2015 at the National Museum of Bardo, Tunis.